Vancouver Island Masonic Lodge Buildings – ASHLAR LODGE, No.3, A.F.& A.M.
For Visiting Brethren, here is a list of Vancouver Island Masonic Lodge buildings. Each photo contains a link to a page with a map and other information. Please note that this page is a work in progress and we will be adding more buildings in the near future. Mt. Newton Masonic Hall, 8105 Derrinberg Road (off East Saanich Road), Saanichton, B.C. is home to United Peninsula Lodge No. 24. Courtenay Masonic Hall, 361 5th Street, in downtown Courtenay. Home to Hiram Lodge No. 14 and Comox Lodge No. 188. Cumberland Masonic Hall, 2687 Dunsmuir Avenue in downtown Cumberland, B.C., is home to Cumberland Lodge No. 26. Duncan Masonic Temple, 163 Canada Avenue in downtown Duncan, is home to Temple Lodge No. 33 and Tzouhalem Chapter No. 26 R.A.M. St. John’s Masonic Temple, 26 Gatacre Street in downtown Ladysmith, is home to St. John’s Lodge No. 21 and Chemainus Lodge No. 114. Goldstream Masonic Hall, 669 Goldstream Avenue, Langford, B.C. is home to Goldstream Lodge No. 161. 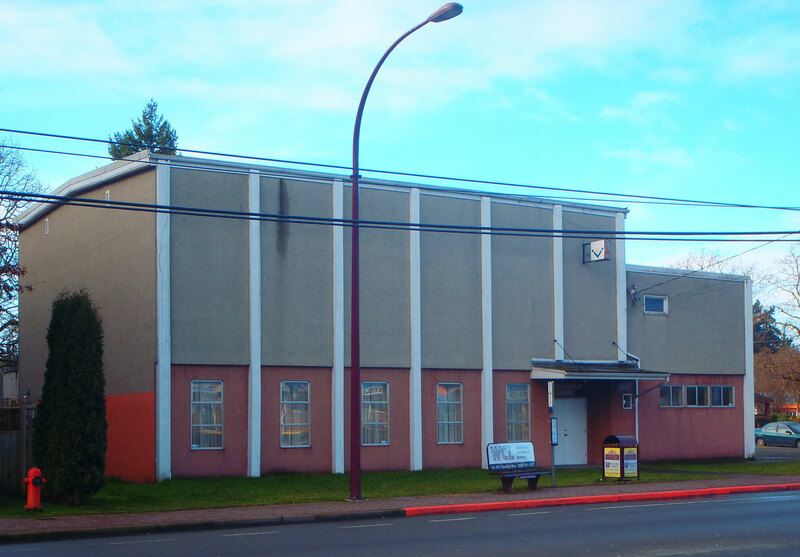 Malahat Masonic Hall, 2748 Lashburn Road, Mill Bay, B.C. is home to Malahat Lodge No. 107. Ashlar Masonic Temple, Commercial Street, Nanaimo, B.C. is home to Ashlar Lodge No. 3. Morpeth Masonic Hall, 620 Morpeth Avenue, Nanaimo, BC. is home to Doric Lodge No. 18 and Nanaimo Lodge No. 110. Parksville Masonic Hall, 136 Memorial Avenue, Parksville, B.C. is home to Concord Lodge No. 79 and Qualicum Lodge No. 194.